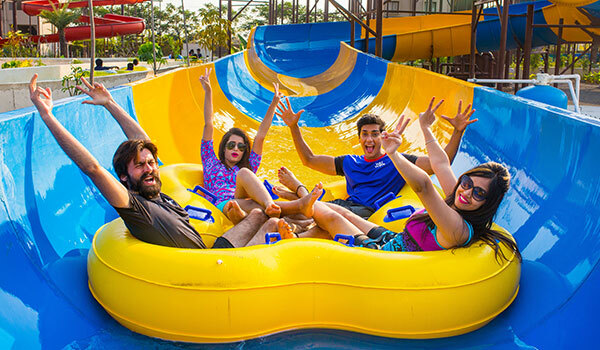 Our 16000 square feet wave pool with varying wave speeds features a long sandy beach area, coconut grove, tropical landscaping and an exhilarating environment to enjoy a cool beach experience in Hyderabad. 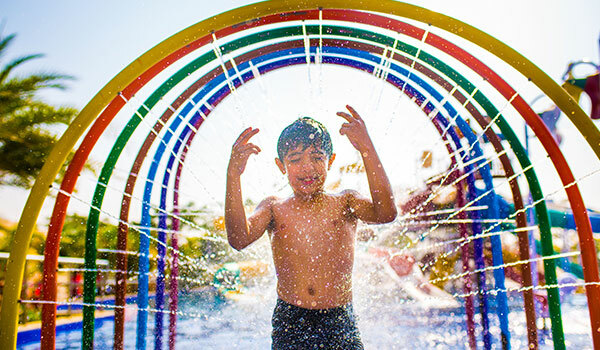 This kiddie cove aqua play has 5 interactive fountains and play structures including 3 slides from which kids can splash down into a child-friendly pool. 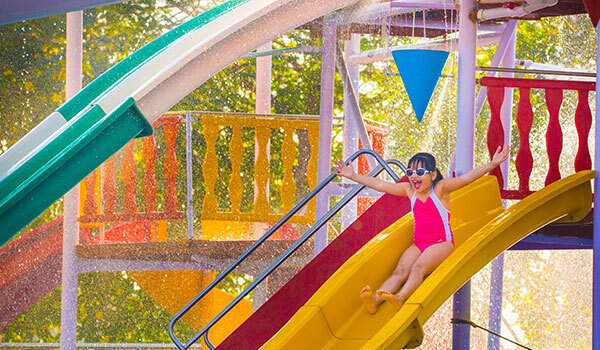 Crazy River is a wilder cousin of the lazy river, wherein you sit on a tube and float along our 600 feet long river that snakes through the tropical jungle landscape and all of a sudden rapid waves are created lifting and pushing you around crazy, it’s an amazing ride. 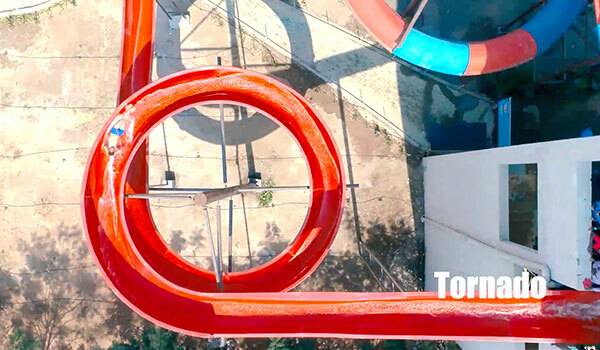 Our 240 feet long Wave Rider starts from a 40 feet high tower and drops you straight down uphill and downhill like a wave at speeds up to 40 km per hour. Our 220 feet long Free Fall starts from a 40 feet high tower and drops you straight down at up to 50 km per hour. Our 240 feet long Matt Racer takes you up to 40 feet high and drops you face down as you slide on a matt, straight down uphill and downhill and lets you race with your buddies at speeds up to 50 km per hour. 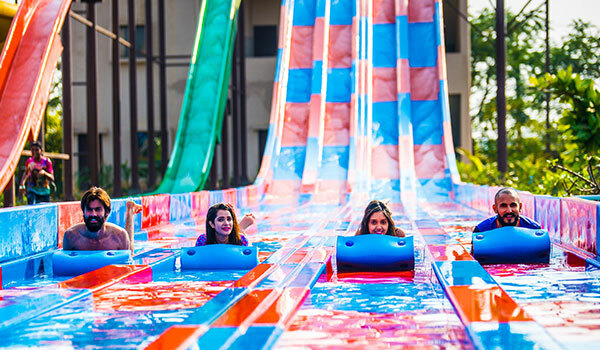 Voyage is a 500 feet long raft slide that can accommodate 4 persons at a time and takes you down an open tube with several twists, loops and turns at high speeds. It’s a complete thrilling and fun ride that can be done in groups of 4.